Meals in 15 Minutes or Less - Breakfast 5: French Toast! For our fifth Meal in 15 Minutes or Less, we are going for a classic breakfast: French Toast. 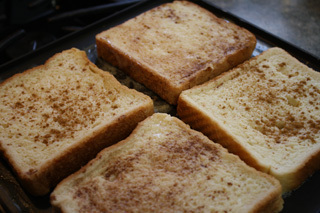 I've tasted a wide variety of attempts at french toast, but my mom's version was always my favorite. It's simple, requires few ingredients, and will take less than 15 minutes from fridge to plate. Let's get to it! In a small bowl, scramble 1 egg with a fork. Blend the milk and vanilla with the egg. 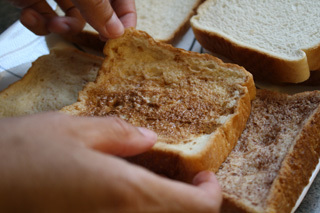 Then add 1 tsp cinnamon into the mixture and stir until just blended. 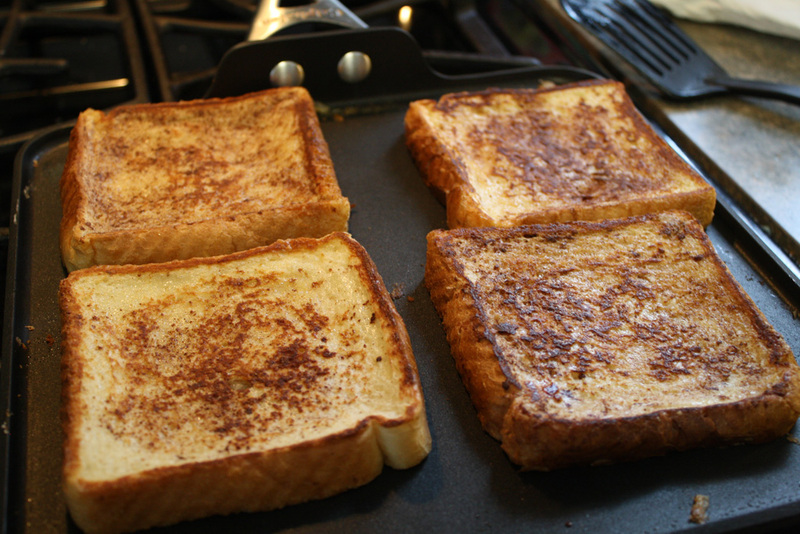 Heat the margarine in a frying pan or griddle. 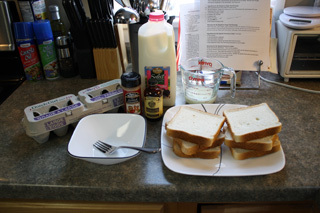 Then, dip each side of the Texas toast bread in the egg mixture, allowing excess to drip off. 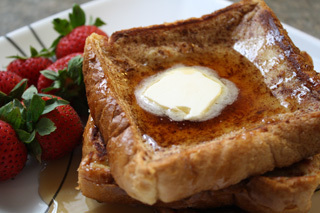 Plate the French Toast and add any combination of syrup, peanut butter, or powedered sugar! Casa de Lindquist recommends a side of scrambled eggs with ham and cheese and some fruit! This tasty breakfast will please the whole family. Enjoy!